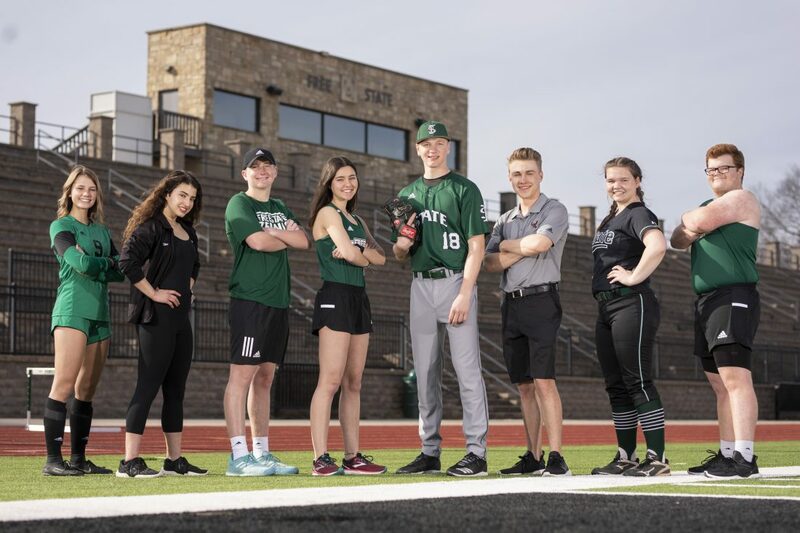 Free State spring sports athletes are pictured from left: Brittany Hoffman, soccer, Norah Agah, swimming, Sawyer Nickel, tennis, Caitlin McAndrew-Beckman, track and field, Ethan Bradford, baseball, Landon Berquist, golf, Emma Stanwix, softball, and Will Byers, track and field. 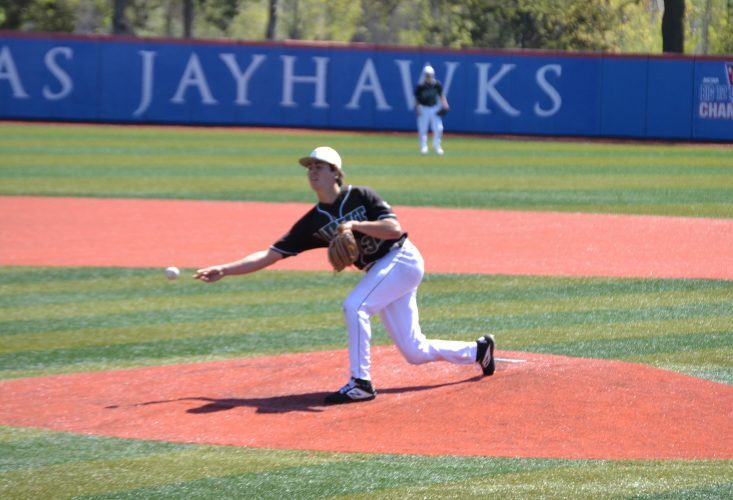 This past weekend, the spring sports season officially began with Free State’s baseball team dropping two decisions to a pair of teams in Missouri. Plenty of other spring teams will begin play this week or next week, and will get the final season of the school year in full swing. The Firebirds are hoping to claim another state title after doing so last spring when the softball team won its first such crown in program history. The Firebirds have plenty of experience coming back from a team that went 16-7 and earned a trip to the 6A state tournament. 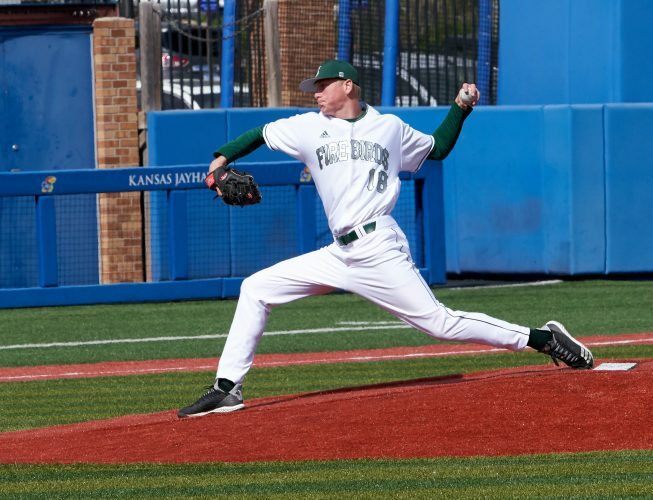 Free State, which has nine seniors on its current team, has 98.5 percent of its pitching production back from last season. Senior Ethan Bradford, a Nebraska signee, will lead a talented pitching unit that includes junior David Stuart and senior closer Jake Zenger. Senior first baseman Jake Baker, a KU signee, will anchor the lineup. Peyton Sparks, Jack Kellenberger, Jaxson Webb and Creighton Cordova will also be crucial to Free State’s success on the offensive and defensive end. Free State (0-2) will play host to Sioux Falls Washington at 2:15 p.m. Friday. Plenty of players are back after helping FSHS softball capture its first state title in program history, finishing the season with an 18-7 overall record. Seniors Lauryn Jones (infield), Chloe Taylor (infield), Taylor Burks (outfield), Karsen Jacobson (outfield), Annie Rosazak (outfield), Emma Stanwix (catcher) and Morgan Leslie (pitcher) are all back for one more year. Sophomores Tatum Clopton (pitcher), Sara Roszak (shortstop) and Georgia Rea (first base) are all looking to build off a strong rookie season. Both Clopton and Roszak earned all-state honors for their play last spring. Free State will play host to Olathe Northwest at 5:30 p.m. Monday. Both FSHS tracks teams placed in the top 23 at the state meet last year, with the girls finishing 14th and the boys placing 23rd. Free State returns a strong nucleus from both teams this year. Cole Phillips, Charlie Johnson, Jaxon Malone, Tyler Bowden, Malachi Starr and Ja’Brandion Douglas are all back on the boys side. Emma Hertig, Julia Larkin, Liliana King-Wilson, Anna Childress, Kala Ewing, Erin Fagan, Anna Riley, Bella Stull and Maddie Day are all returning for the girls team. Free State faces Lawrence High at 3 p.m. Friday at FSHS. Free State will look to get back on the right side of .500 after posting an 8-9-1 record last spring. The Firebirds, who fell in the regional championship in 2018, bring back a pair of seniors that will be essential for leadership. Brittany Hoffman and Emma Yackley are both captains for FSHS, which begins this season with a road game against Shawnee Mission East at 7 p.m. Thursday. “The team is excited and ready to get the season started,” said Kelly Barah, who is in his 10th season at the helm. 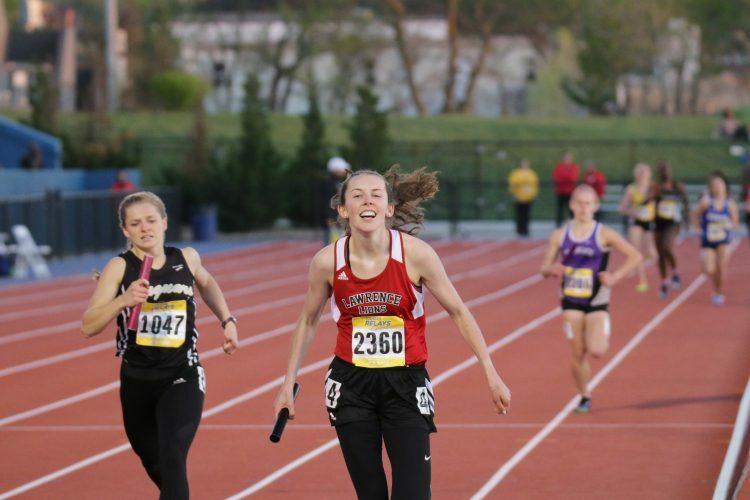 A total of 13 seniors graduated from last year’s team that placed second at the state meet and notched third at the Sunflower League meet. Nora Agah is the only returning senior who scored at league last year, though seniors Richa Joshi, Emmaleigh Hancock, Lexie Lockwood, Rose Pilakowski and Anna Welton will look to make the most of their final year. Juniors Kasey Dunn and Ainsley Krug both medaled at league and state, while junior Naomi Soderling scored at the league meet. FSHS will open the season at 4 p.m. Thursday at Emporia. 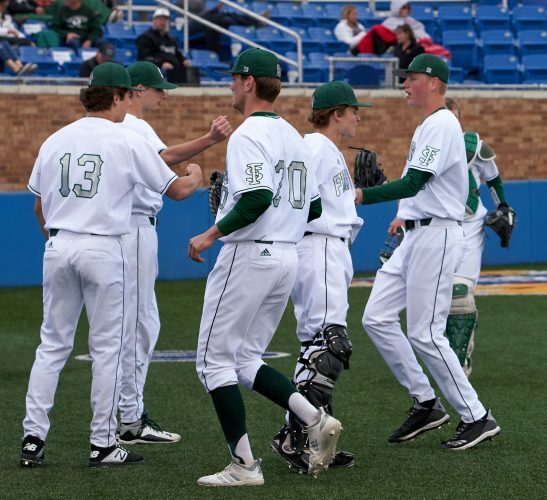 Three of Free State’s top six players from last year’s team are set to return this spring. Senior Sawyer Nickel netted ninth place at last year’s state tournament as an individual. On the doubles side, seniors Davis Steadman and Trey Melvin notched fourth at the 6A state tournament last season. Free State will take on Kansas City Christian School at Harmon Park on Thursday, March 28. The Firebirds will be led by four state qualifiers, including three golfers who have made multiple appearances in the state meet. Senior Landon Berquist, a three-time state qualifier, placed 11th at the 6A state golf meet last year. Andrew Park registered 20th in his second trip to state. Dylan Sommer, a two-time qualifier, and Alex Gard will look to build off last year. Senior Hudson Flynn, junior Mitchell Spriggs and sophomore Nate Pilakowski should make an impact for the Firebirds this season. 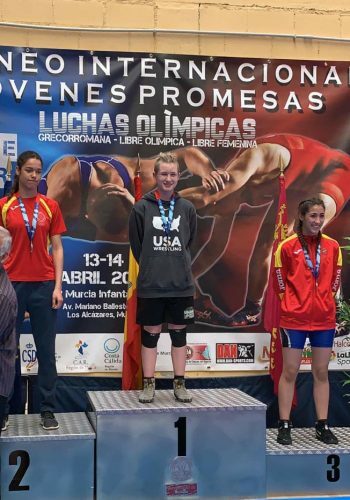 “(I’m) optimistic about the upcoming season, with four returning state qualifiers from a team that finished sixth at state last year,” fourth-year coach Chuck Law said. FSHS will compete in a tournament at Lake Quivira Golf Course at 1 p.m. Monday.